Corporates and event agencies who organise small and large events: from conference to training, business meeting or product launch. The price of a licence depend on the teams that use it and features incl. Momice software contributes to the organisation of valuable and professional events. 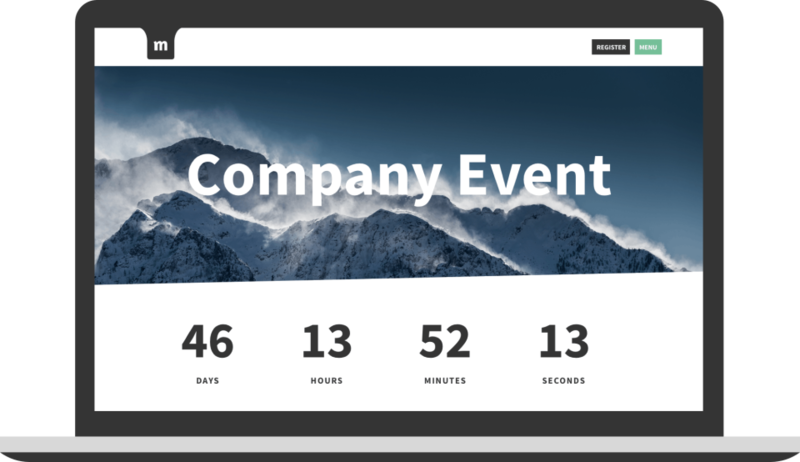 Everybody can easily create an event website in the style organisation or event, send out invitations, automatically keep track of registrations, sell tickets and conduct surveys. Using the modules Mail, Registration, Website, Tickets and Survey, each event professional can automate all event communication. Working with Momice saves up to 75% of your time - no technical knowledge required! 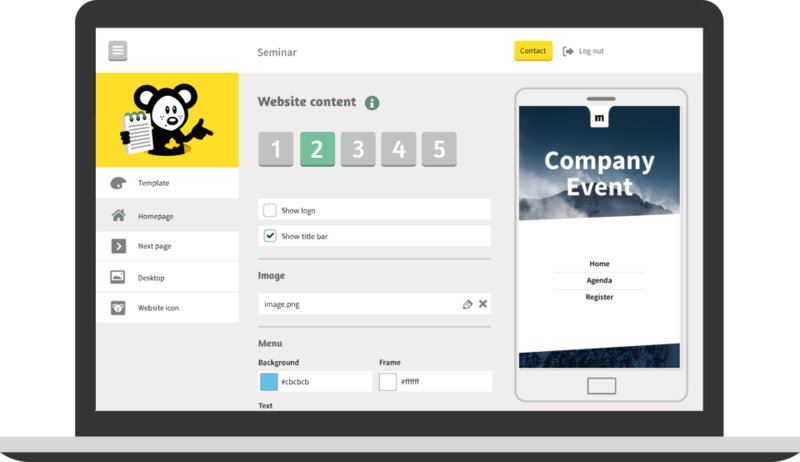 Pros: I can easily compose the Momice event website: by choosing the appropriate colours and images I can create a style that matches my product or organisation. On June 1st, 2018 I launched the event website for my `Locatiecongres (venue conference). I used the new Momice website module to build it. The reactions I got from my network were all positive: Wow, that looks great or Stunning program, it looks professional! Of course, it's the complete picture that counts. However, if it wasn't for Momice, this first impression could not have been made. The functionalities of the software enable me to create a professional online presentation. The invitation tool and the possibility to communicate quickly and easily with your (potential) clients/attendees completes the picture. All these reasons have made me Momice superfan. I have already recommended Momice to many event managers, and I will continue to do so! Cons: For us being a small organisation we have to wait until the event has taken place to receive our ticket fee. Overall: Locatiecongres as a brand is represented well with a beautiful designed website. By using Momice we are able to sell tickets online. We are able to share up-to-date information about the program of the conference. Pros: I have a great experiencing working with MOMICE and the MOMICE Team. It is easy to learn and, effective in our communication strategy and efficient in saving time by doing things quicker. MOMICE has helped us enormously with the registration and communication of our annual Spring Drinks at Westergasfabriek. Our aim was to have a great live event with as many invited guests as possible. Next to this we also wanted to lower our "no show" percentage and keep track of the response rate of our invitees. MOMICE helped us with easily uploading contact data into the system and thus saving us a lot of time. Adding extra contacts was simple as well (as we had to combine several databases and new invitees kept on being added very last minute ). Also taking care of deduplicating names and e-mail addresses saved us loads of time. Important for us was to keep track of the number of guests and see the response rate. The system gave us great inside which people responded and who didn't, thus making it easier to send non responders a reminder. Registration is super easy and guest receive a confirmation very quickly after registering. In the end we managed to reach more of our invitees resulting 12% more registration, welcomed 5% more guests to our event and lowered the no-show percentage from 43% last year to 34% this year! I would definitely recommend anyone in using the MOMICE tool and working together with the MOMICE Team! Cons: I think registering on site with non registered / walk in guests could be done quicker and more efficiently. Next to this people needed to find their invite with QR-Code in order to enter the event. This sometimes led to people not having their QR-code at hand and loosing some time. I have mentioned both minor downsides to the MOMICE team and they are well aware of this. I understood that currently they are working to solve both issues in the near future. 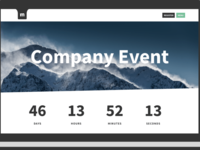 Pros: The benefit of Momice is that it provides event planners like me with the online tools I need to quickly organize an event website and registration. As we all know, time is valuable in our field of business. 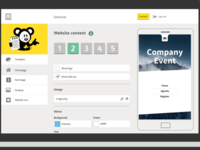 The tools within Momice make it easy for the event planner to create, manage and control an event website, registrations and even has a mailing system to communicate with the invitees and guests. The tools within Momice seem carefully selected so that the event planner has all of their needs within one clear online system. Yet, Momice is easy to learn, but hard to master, due to the various options that can be learned after having starting with using Momice. This makes it interesting for any type of event planner to work with Momice. Additionally, since the tool is rather new to the immense market of events, Momice is still very adaptable and willing to support the event planner in any of their wishes. Big plus! Cons: It seems that Momice is growing rapidly and so does their software. It happens every now and then that the tool seems to run into minor bugs or failures. This could be something to really investigate and improve, to make the tool 100% stable.